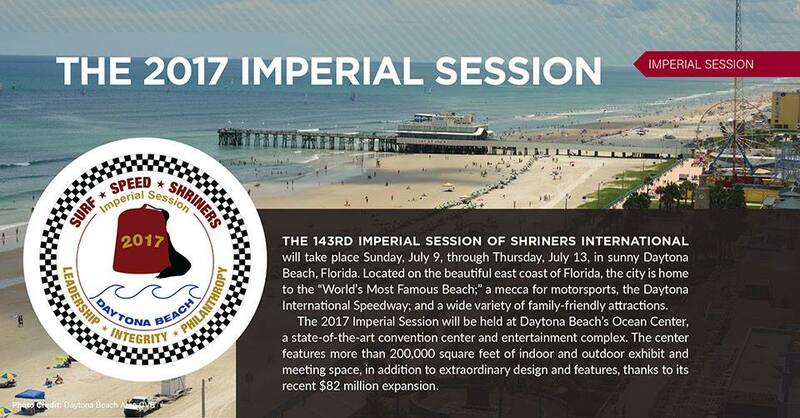 Shriners International invites all nobles and their families to join us for the 143rd Imperial Session in Daytona Beach. Imperial Sirs Chris L. Smith and Gary J. Bergenske look forward to welcoming you. 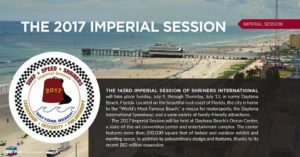 For event schedules, tickets and transportation information, visit imperial2017.com and Shriners Imperial 2017 & 2018 on Facebook.